When an individual considers green living they may not consider a degree in green living or in education of any kind in green living. However, there are several degrees in education options for those who are interested in furthering green living development or green living efforts in their area. The following are a few of the options available for individuals who are considering a more career based option of green living. These degrees and educational options can be found both online and off-line and will give you some idea as to what you can do with the various options available. Conservation is one of the most popular areas of degrees in education and green living. A conservation certification, Associates, Bachelors or graduate degree can lead to work in ecological conservation, for street conservation or in various animal conservation efforts. An individual who chooses to major in conservation can expect to spend anywhere from six months to six years studying conservation and working on their skills. Conservationists are needed at not only local positions but also in state positions with various conservation efforts. State parks, zoos, botany endeavors and other organizations will hire conservationists throughout the year. For those individuals who want a more science-based degree program, an education in environmental science may be a good option. A terminal scientist can expect to spend at least six years in school between their Bachelors degree and Masters degree options. An environmental scientist can be used in marine biology, with various conservation efforts, state parks, marine parks and with other organizations working toward environmental awareness. They may also work with different geological organizations and even with renewable resource organizations. Green technology and solar education is not a new concept, but it is seeing an increase due to several government bills opening up the green degree in education job market. Green technology and solar education covers everything from solar power endeavors to geothermal heating and cooling homes. Someone with a degree in green technology and solar education can work for energy companies, the state or national government and can work for different conservation efforts. A green technology and solar education degree can also be useful for those individuals who want to work with urban development organizations in efforts to create geothermal homes or more off grid and energy efficient home lifestyles. Solar education may also be used with various scientific endeavors and with scientific organizations. Environmental engineering is not a new concept, but like its green technology and solar education counterpart it is seeing resurgence in recent years. An environmental engineering degree will allow an individual to work with various urban development and civil engineering programs. These individuals study various environmental problems including global warming and ozone depletion. Someone with a degree in civil or environmental engineering can work for federal and local governments as well as architecture, construction and various telecommunications firms. 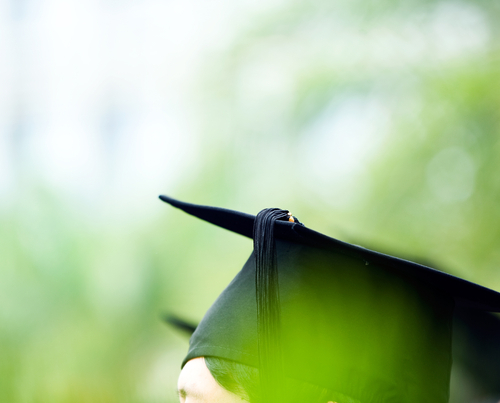 These are just four of the top degrees and education options for green living related jobs. There are other options available and green living and more opening of daily due to several government bills being passed for green living grants and green living jobs.